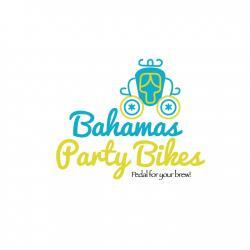 Bahamas Party Bikes® is the Bike with the Keg! Our mission is to provide a safe, fun and environmentally-friendly way for groups of eight to eighteen adults to pedal for their brew while taking in the sites and enjoying the native hot spots and city center of Nassau. Our well trained guides will educate the guests on the historical landmarks along with providing the best customer care, safety guidelines and hosting services for the duration of the tour. So, why not Pedal for your brew with us!